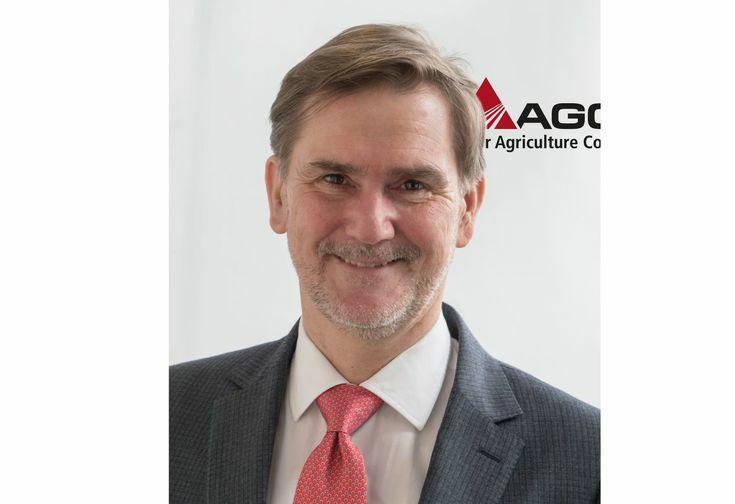 AGCO, Your Agriculture Company (NYSE:AGCO), a worldwide manufacturer and distributor of agriculture equipment and solutions, has announced the new appointments within its Europe and Middle East (EME) team. Dr. Rainer Scholz appointed as Vice President, Digital Customer Experience, as of March 2018. Torsten Dehner appointed Vice President, Global Parts and EME Parts & Services, as of April 2018. He will replace Boris Schoepplein, Vice President Global Parts and EME Parts & Services, who has decided to pursue new opportunities outside of AGCO. Konstantin Meier-Kulenkampff promoted to Vice President, Purchasing and Materials, EME as of April 2, 2018. AGCO is pursuing excellence in its relationship with its dealers and customers by rethinking the whole customer experience – before, during and after a purchase. The aim is to offer end- customers a seamless experience from the digital to the physical retail network. “2018 firmly marks the beginning of AGCO’s transformation to a digitally enabled, customer-centric, data-driven business,” explained Dr. Rob Smith, Senior Vice President and General Manager, AGCO EME. AGCO is officially launching the Digital Customer Experience (DCX) program, piloted in EME, for a global roll out in subsequent years. DCX is a diversified, multi-functional transformation program that will be touching every customer-facing function in AGCO’s business across the entire customer journey. “With Dr. Rainer Scholz, Vice President, Digital Customer Experience, we are bringing a leader with important capabilities and extensive digitalization experience to the organization to steer us through this digital transformation journey,” said Rob Smith. Dr. Rainer Scholz reports directly to Rob Smith and with a matrix reporting line to Eric Hansotia, Senior Vice President Global Crop Cycle and Fuse Connected Services, and is based in Schaffhausen, Switzerland. 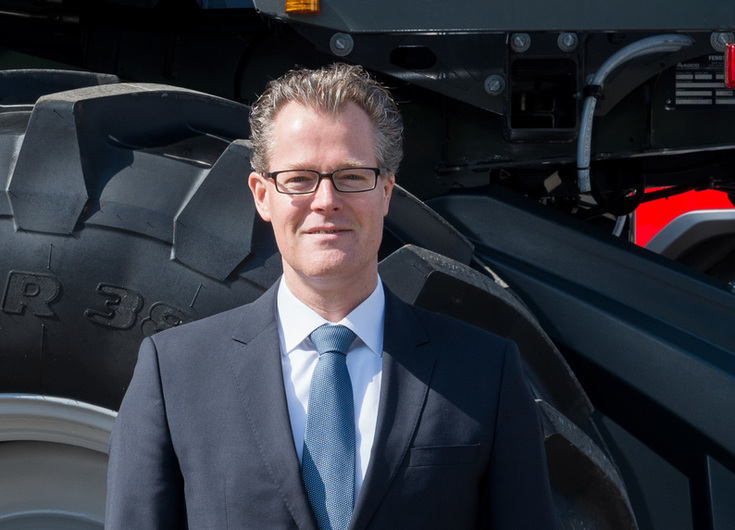 Dr. Scholz will lead the overall program management from a business perspective and ensure that, together with its implementation partner, AGCO will deliver the digital capabilities for its dealers, and to its customers. He will reinforce AGCO’s position in agriculture by transforming into a more agile, customer-centric and data-driven organization enabled by new digital capabilities. AGCO wants to create a win-win-win for its customers, dealers and for itself. Customer satisfaction and loyalty remains a core focus for all of AGCO’s brands in EME. Through best- in-class customer service and support provided by its dealer network, AGCO is stating its strong commitment to the satisfaction of all its customers. In recent years, AGCO and its dealer network have moved to a new stage of the commitment by getting to know each customer better in order to identify his or her needs and anticipate his or her expectations. AGCO is also strengthening its aftersales offering by introducing new commercial services in its main markets, maximizing machine uptime, efficiency and profitability for our customers, as well as contributing to our main target of being number one in customer perceived quality. teamwork on a worldwide basis. Introduction Purchasing organization and in strong collaboration with internal cross-functional as well as external partners. “We congratulate Rainer, Torsten and Konstantin on their key new roles in supporting the growth of AGCO’s brands by providing dealers and customers with best in class service all across the customer journey before, during and after purchase,” says Rob Smith. Prior to joining AGCO, Rainer held the position of Executive Director and Head of Mobility, Innovation Group at Ernst & Young. He grew EY’s mobility innovation, incubated mobility start- ups and customer co-created new digital services. Other key milestones in his career around digitalization & mobility management, new business model creation and large program management included his position as Executive Vice President & Board Member International Automotive & Manufacturing Business Unit at T-Systems as well as Managing Director at Toll Collect GmbH and COO at Daimler Chrysler Mobility Management GmbH. Rainer has a diploma in Business Administration from the Helmut-Schmidt-University, Hamburg/Germany and holds a PhD in Business Process Reengineering. Rainer is fluent in German and English. 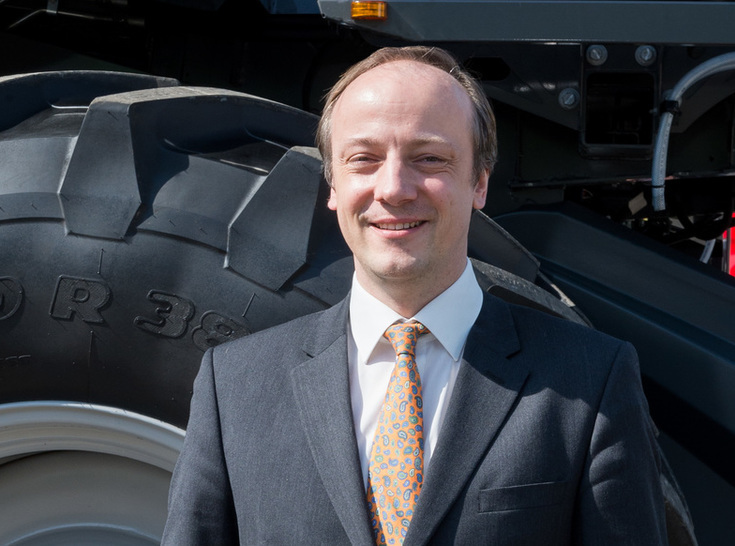 Torsten joined AGCO in 2010 as Vice President, Purchasing & Materials for the EAME region. Since that time his role has expanded to include global ownership as Commodity Director for the Powertrain and Periphery commodities. Prior to AGCO, he worked with Behr GmbH & Co KG in several key roles, starting as Head of the Sourcing Office in Barcelona and finally as CPO & Group Vice President, Purchasing when he left to join AGCO. Torsten holds an Aeronautical Engineering Degree from the University of Stuttgart as well as a Master in Business Administration from University of Reutlingen, Germany. 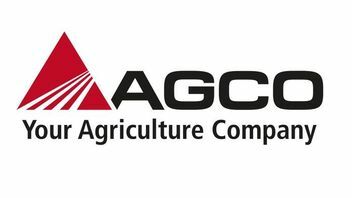 Konstantin joined AGCO in 2011 as Sourcing Manager for the China organization. Since that time he was promoted to Director, Purchasing, China and recently moved back to the EME region where he has been Director, Purchasing, EME and Global Strategy & Methods since 2017. Prior to AGCO, he worked with Behr Asia-Pacific Co., Ltd., based in Shanghai, China as a Brand Manager in their Sales/Customer Center and also with Behr GmbH & Co KG as Project Manager in both their Sales/Customer Center and LCC Sourcing in their Stuttgart offices. Konstantin holds a Diploma in Economics from Georg-August University in Goettingen, Germany.